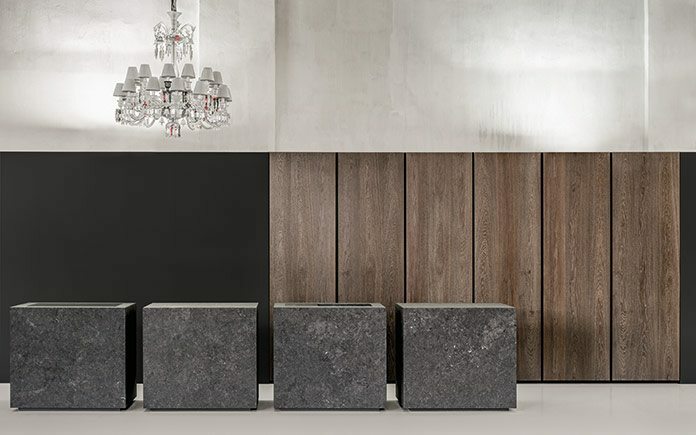 Archaic, minimalistic, multifunctional: ROCK.AIR combines award winning design and robust materials. “It has the typical ‘Steininger-like’ purist look. 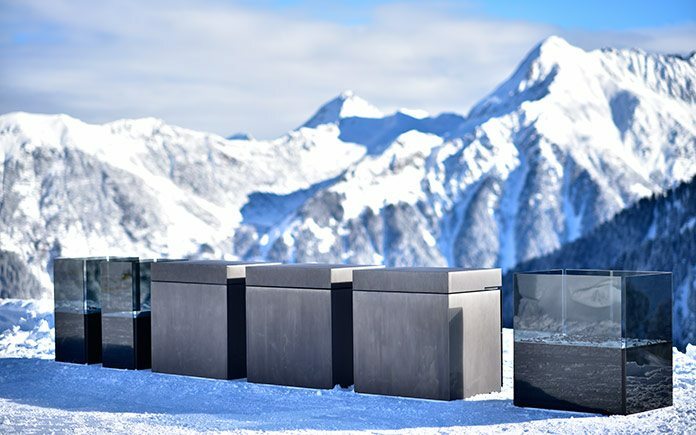 The design is based on the award-winning ROCK model, which received the German Design Award 2016”, says Martin Steininger, Designer and Managing Director of steininger masterpieces. The modern and young company is owner-operated, produces luxurious, handmade products, custom-made and with a passion for technical and aesthetic details. Such as ROCK.AIR: Extremely reduced though multifunctional design. 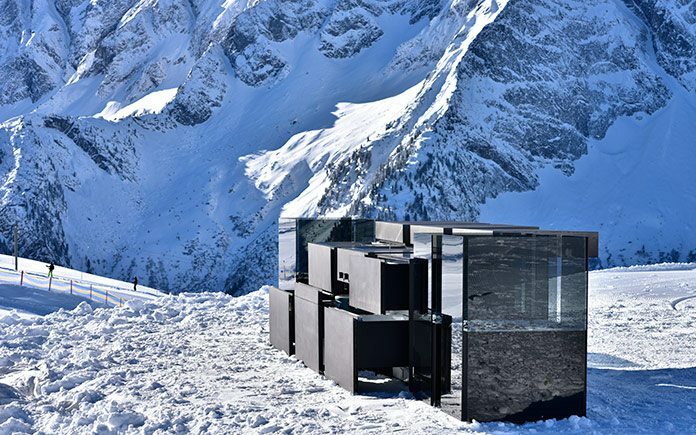 The minimalist kitchen cubes can be individually combined with each other and fulfill different functions: gas barbecue (different grill attachments, teppanyaki insert or lava grill option), sink and dishwasher, fridge/freezer element with ice maker, storage space, and burner (either remote controlled gas fire or lighting gel). The outer skin of the individual blocks is made of anthracite-coloured stainless steel and is covered with an innovative, high-tech nano coating made of glass ceramic. The extremely hard- wearing material is resistant to all weather conditions and also stands up to salt water. The covers of the individual blocks can be pushed to the rear, turning the back of the kitchen into a counter at the usual bar height. 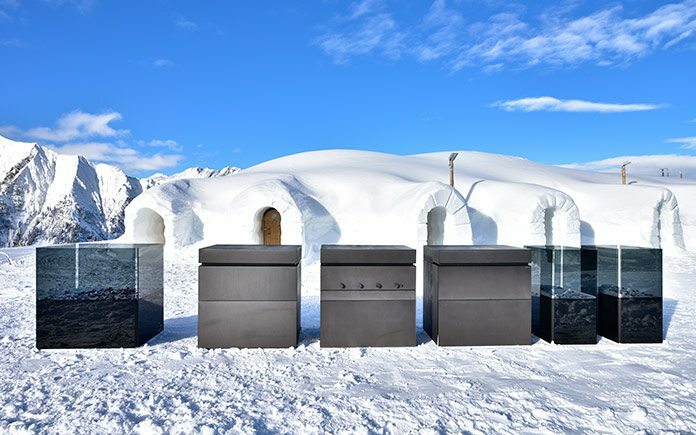 „We wanted to show that you can and should cook outside all year round – no matter where,” says Harald Aichinger, Managing Director of Steininger international. 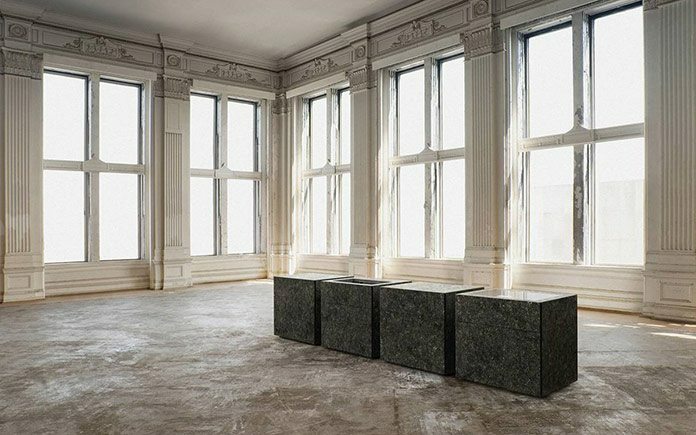 ROCK is an homage to Donald Judd and Adolf Loos. Reduced form, colour and material. 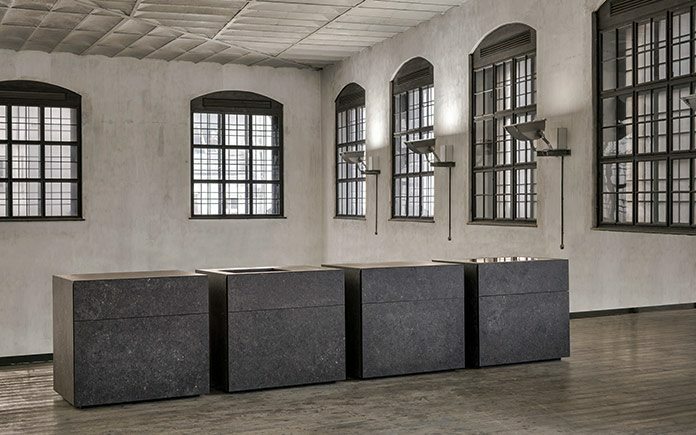 „We wanted to create a kitchen of absolute beauty, without an expiry date – forever timeless“, says designer Alberto Minotti, who drafted ROCK in collaboration with Martin Steininger. The focus is on the quality of workmanship. ROCK is the ideal fusion of Italian design and Austrian quality craftsmanship. Based on a new method of construction using aluminium profiles, the stone is made into thin panels with a thikness of just 6 mm. „This is a very important detail for us, and shows not only our craftsmanship, but also gives the kitchen the shape of a block“, says Steininger. 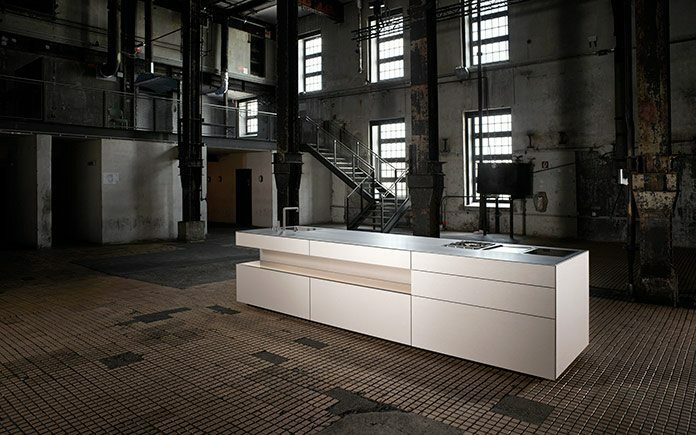 The monolithic kitchen island impresses with its clear and precise style. The integrated solid wood table and stainless steel revolving herbs bed are not only functinoal elements, but also allow PURE’s surface materials to come alive – particularly in combination with concrete. The 8 mm thin concrete is heat-resistant and food-safe. „We developed a procedure that allowed us to make the conrete so thin that it was light enough but not brittle, and maintain ist interesting surface texture with ist fine cracks and bubbles“, says Steininger. 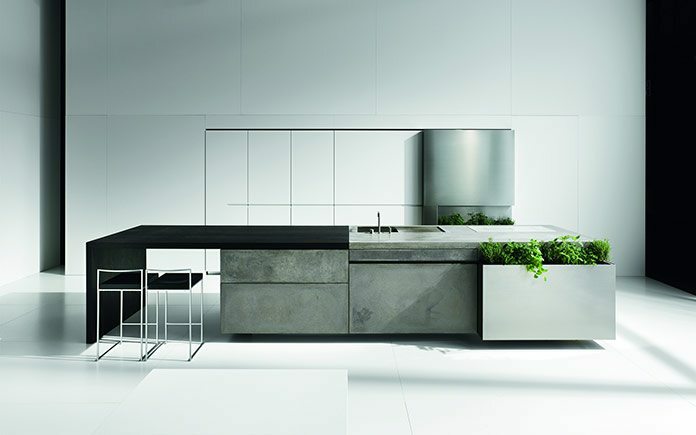 The elegant kitchen island fully follows the trend of using extraordinary materials in the kitchen. 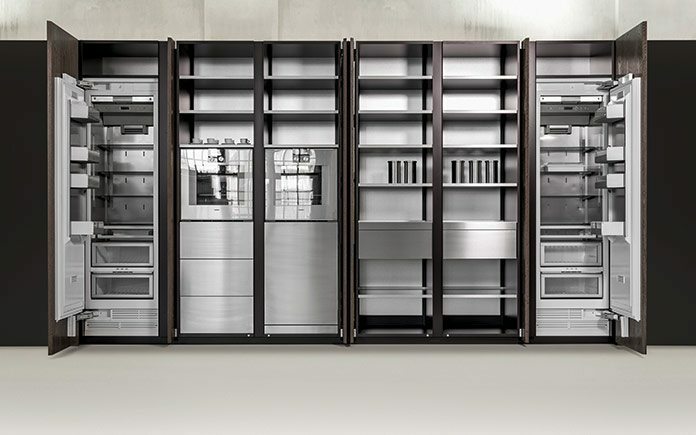 The unit block and cupboard element are fully clad in anodised aluminium. Austrian workmanship comes into effect in the carefully crafted wine racks and the unusual sliding mechanism of SLIM. 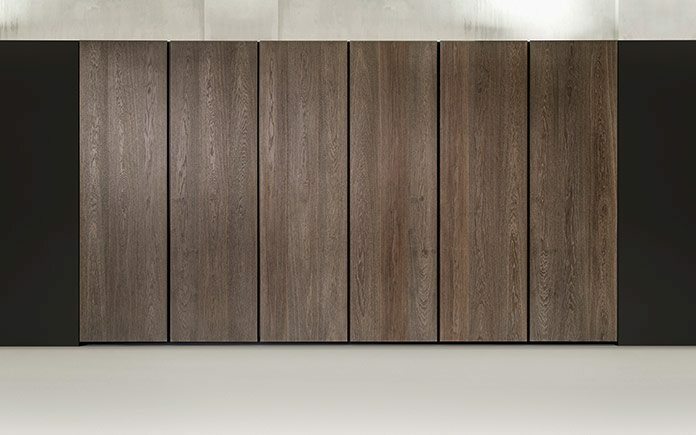 WALL is a handle-free tall cupboard system with numerous design options that integrates discreetly into the room’s architecture and overall appearance. A choice of revolving doors, pocket doors, folding doors and flush sliding doors is available. When closed, the tall cupboard becomes part of the wall and has a minimalist, tidy look.